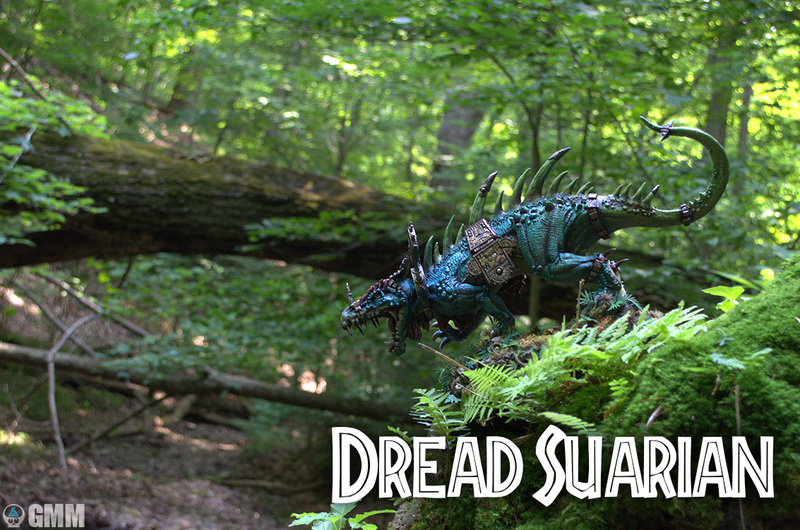 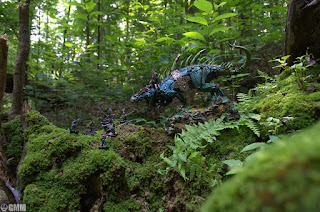 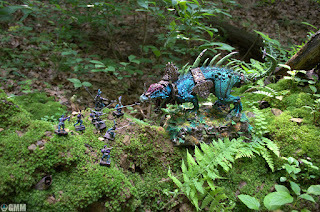 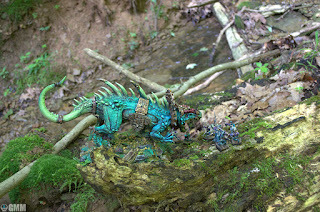 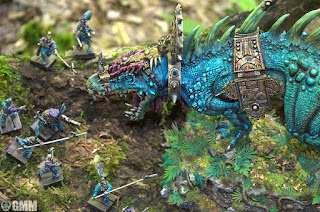 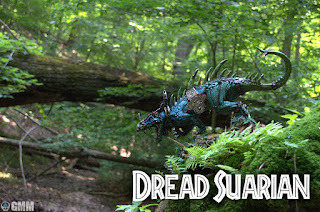 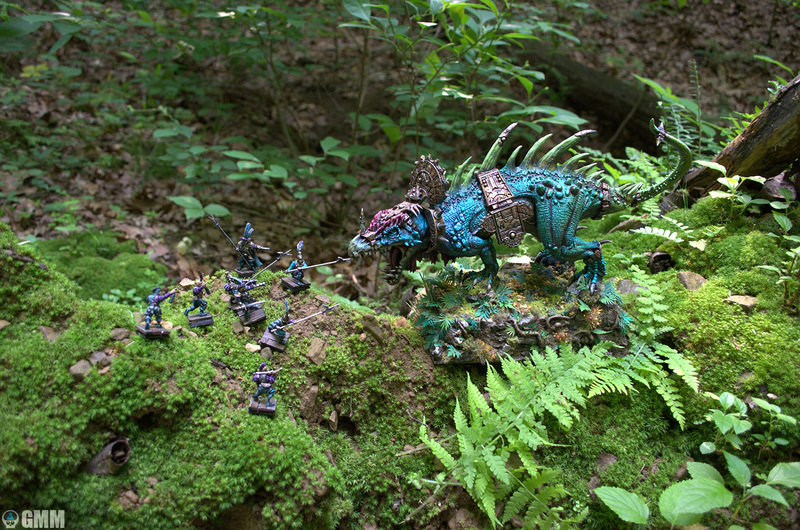 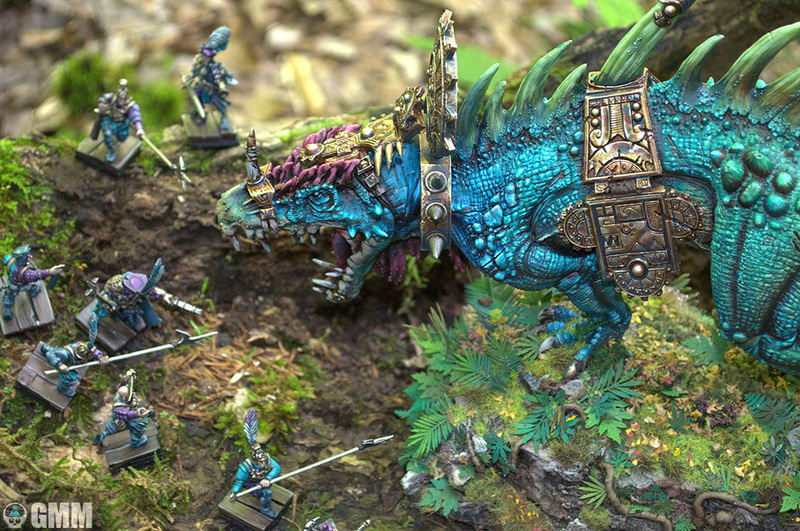 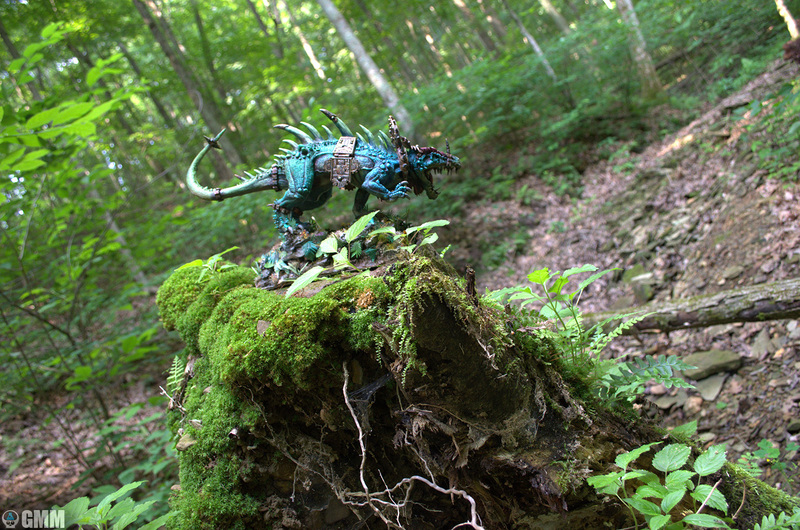 A lizard to defy physics, this Dread Saurian was painted to match the client's taste in real lizards - a shimmering, polychromatic predator going from teal blue to yellow. 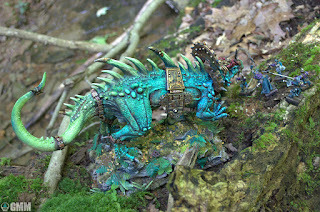 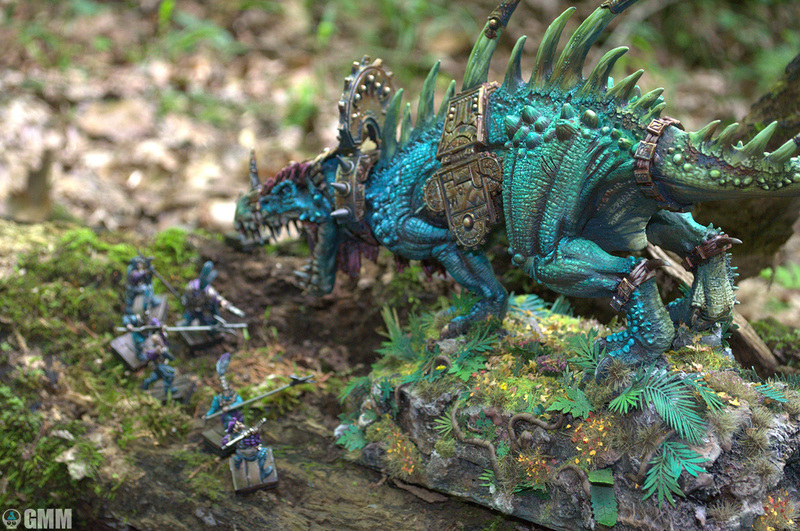 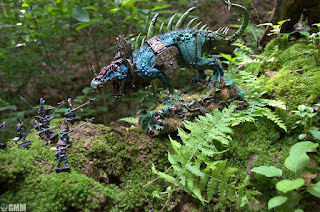 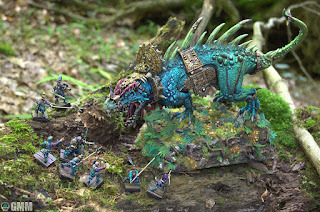 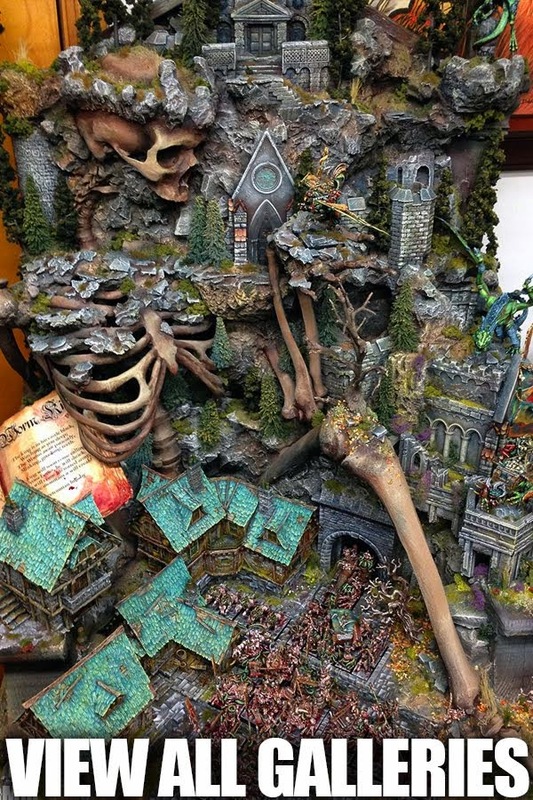 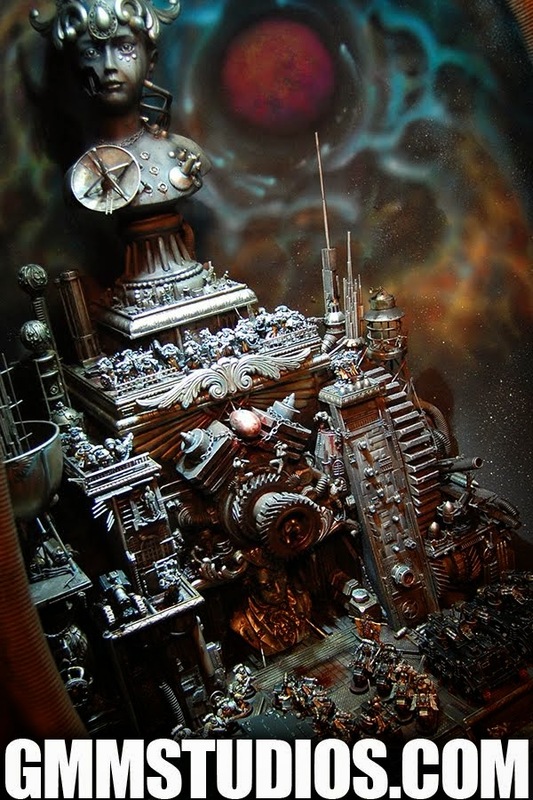 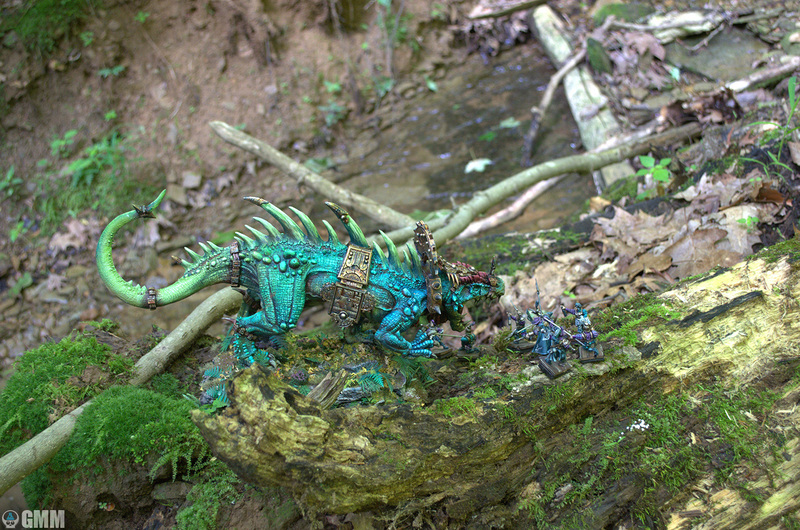 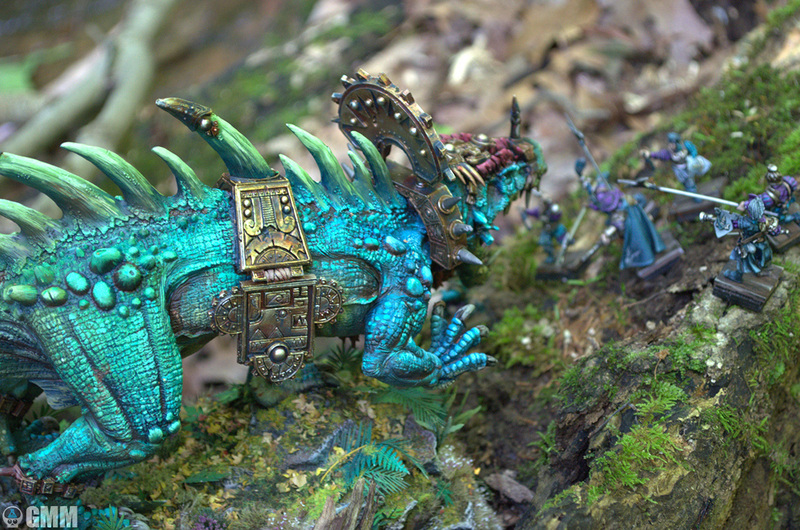 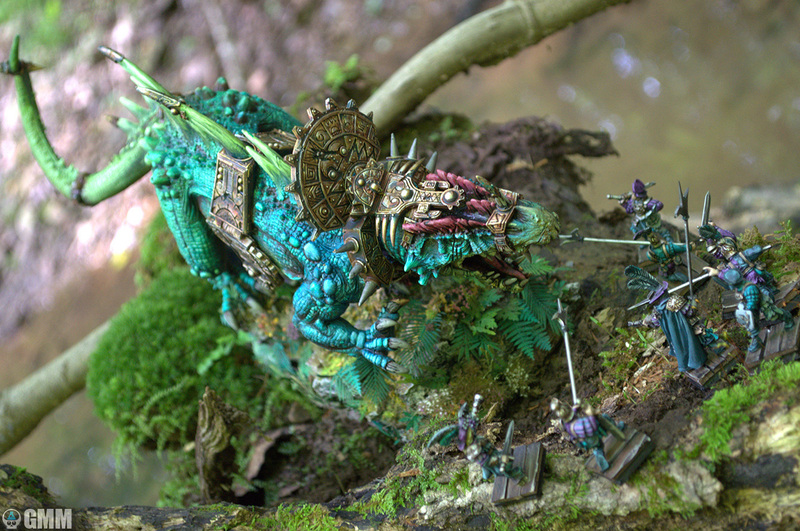 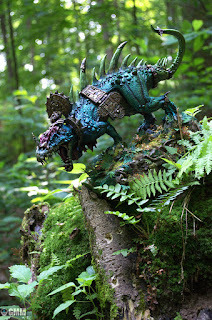 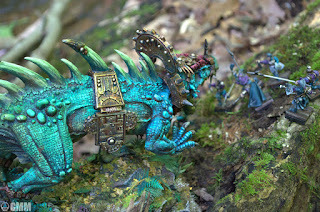 Quite a challenging model to paint due to size and the sheer number of scales, but what fun would it be if it were easy. Up next - finishing the Deadpool army, two new terrain photo booths (images coming soon) and plenty beyond. See you then.